To mark the festive season the Irish Astronomical Society is once again organising that special social event, "Stars Comets and Mince Pies" for all of our friends in the community of amateur astronomers in Ireland. 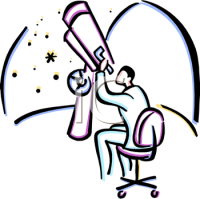 It will take place on Friday, 14th December 2015 (19.30 to 22.00 hrs) at Dunsink Observatory, Dublin 15. This year's event will include an entertaining talk by Immunologist Professor Luke O'Neill of Trinity College. People will be familiar with Luke through his weekly science slot with Pat Kenny on the Irish national radio station Newstalk. In 2018 he published ‘Humanology- a scientist’s guide to our amazing existence’. With good humour and wit, Luke takes us on an incredible journey across centuries and galaxies, explaining how it all began, how it all will end and everything in between. He will select topics from the book for his talk on the night. The evening will also include a short fun quiz and weather permitting, there will also be some time for a little observing. Remember we even have a Christmas comet this year. Light refreshments will be available during the evening with mince pies and plenty of chat before a warm log fire. Most of all it is hoped this event will be an opportunity for people to meet old friends and make new ones and we look forward to seeing you there. Last edit: 4 months 2 weeks ago by Bruno.